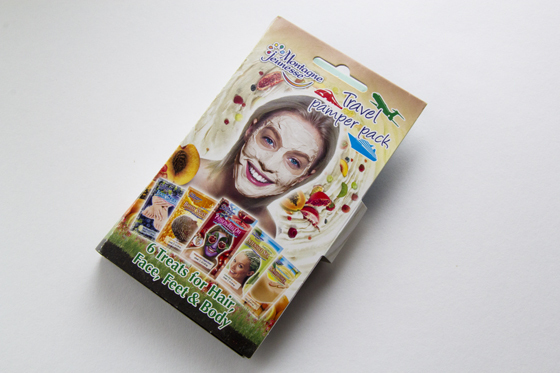 Recently Montagne Jeunesse had launched their 'Travel Pamper Pack'. I think that have a great timing as the holidays season is about to start. 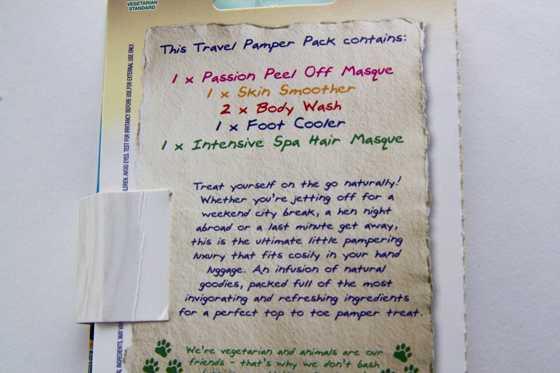 The Travel Pamper Pack is very handy when you are going away, as it doesn't take much space, if you going away for longer than 3 days I would recommend to bring another shower gel with you. I like that everything is inside the book, so nothing will get lost. 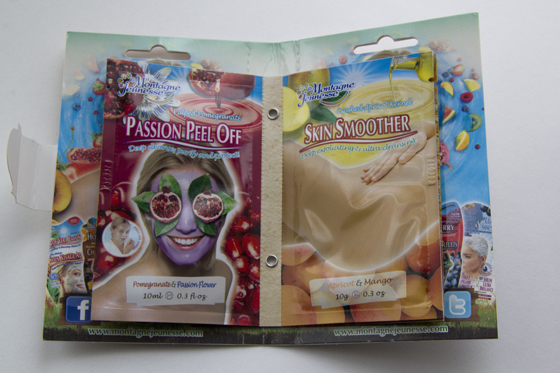 The booklet comes with one passion peel, one skin smoother, two body wash, one foot cooler and intensive spa hair masque. At the back of each sachets you have clear instructions how to use each product. PASSION PEEL OFF MASQUE: This is an Peel off mask, it's has a sticky gel formula. The smell was really fruity, a great mix of pomegranate and passion fruit. I love Peel off mask, as when you peel it off I feel like all the dirt comes off. This face masque leaves my face looking very fresh and soft. SKIN SMOOTHER: I was slightly surprised by this products, just because of the smell. I hoped that it will have similar smell as the St.Ives apricot scrub, but it wasn't as great as I hoped. Overall the products wasn't that bad, it;s just the smell that had putted me off. The skin smoother did leave my skin feeling very smooth. BODY WASH: The Body Wash had the most amazing smell! It's reminds me off The Body Shop Satsuma, my favourite scent of all time. The formula is the same as most showers gels. Smells so lovely on the skin and leaves you feeling refreshed. 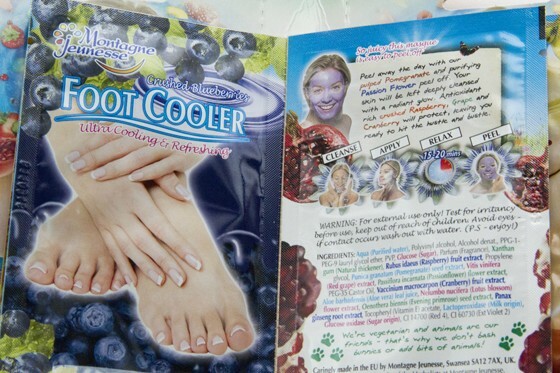 FOOT COOLER: I will soon add a note to this, as I still haven't have time to try it out. INTENSIVE SPA HAIR MASQUE: The Intensive Spa Hair Masque had left my hair very soft and lovely smelling. My hair had been less frizzy, and more manageable. I love to treat my hair with face mask. Montagne Jeunesse products are suitable for vegetarians and sold in Boots and Asda, you can also order the products directly from MontagneJeunesse.com. I will defiantly recommend buying this for your holiday, so handy. This looks awesome :) I might pick one up before my holiday! They would make for some goooood pampering! I love their face masks. I love these masks and the little book is such a great idea! Wow this looks so cute I love how compact it is. You have such a wonderful beauty blog, thank you for tweeting me your link I'll most definitely be back again soon!